In the United States, there are many different educational licensing and certification programs geared toward instructors who want to teach horseback riding, but there isn’t a governing body that oversees them all. Some argue that this lack of oversight has led to some unqualified riding instruction in this country. Europe has long been the model for riding instructor certification and licensing. Here’s a look at some riding instructor certification/licensing programs offered overseas. The Deutsche Reitliche Vereinigung, or German F.N., is the national Equestrian Federation responsible for governing all disciplines of equestrian sports, breeding and competitions in Germany. Trainer and instructor licenses are obtained from the German Agriculture Ministry and German F.N. at the German Riding School in Warendorf. Instructors can be licensed with the “Bereiter F.N.” title, which allows them to teach riders through a level comparable to Second Level dressage; the “Reitlehrer F.N.” designation allows instructors to teach riders through the higher FEI levels. These certifications are awarded only upon completion of vigorous study courses and riding tests. The British Horse Society (BHS) offers instructor registration that is recognized throughout the United Kingdom and around the world. All BHS Registered Instructors have qualified through the BHS system of testing and have been professionally trained to provide safe instruction. They are covered by liability insurance in Britain and are certified in first aid. Perhaps the most demanding program in the world, the Spanish Riding School in Vienna offers talented riders the opportunity to claim the ultimate education in riding, horsemanship and instruction. 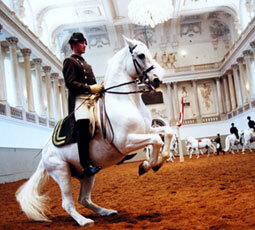 In order to qualify as a student at the Spanish Riding School in Vienna, candidates must pass oral and riding tests and then commit to a rigorous 10-year education program. There are two reasons France is so highly regarded in terms of its riding instruction. First, the Ecole Nationale d’Equitation (French National Horse Riding School) is located there. Students who complete their education at the esteemed school are respected around the world in terms of their riding and teaching abilities. Secondly, France has a national instructor certification program that falls under the umbrella organization, Fédération Française d’Equitation (FFE). 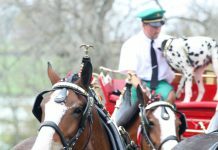 The country boasts 3,000 riders who carry the “professional status” designation with the FFE. 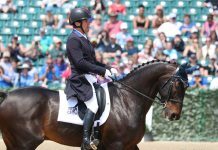 At this time, there are no plans to develop a national instructor certification program under one governing body in the U.S. “There are so many breed and performance organizations that would need to be considered,” says Chuck Walker, assistant director of continuing education at the United States Equestrian Federation (USEF). “It’s a huge undertaking.” Instructors looking for certification in the U.S., however, still have many options. The Certified Horsemanship Association (CHA) and the American Riding Instructors Association (ARIA) offer certification in various disciplines. The United States Dressage Federation (USDF) and the United States Eventing Assocation (USEA) are discipline-specific and qualify instructors only in dressage and eventing, respectively.